The Trump administration told a federal court on Friday that they will not be able to meet its July 10 deadline for reuniting approximately 100 children younger than 5 years old that the government took from their parents at the U.S.-Mexico border under the administration’s “zero tolerance” policy. Attorneys for the Justice Department asked U.S. District Judge Dana Sabraw in San Diego for an extension, saying the government has not been able to find the parents of 16 children under 5 years old, have lost track of 19 parents who were released from ICE custody, and believe it is not obligated to reunite another 19 families in which the parents have already been deported. Pointing to the work they are doing to match parents and children using DNA tests and conduct criminal background checks on all parents, the Trump administration said it could only commit to reuniting the 46 parents still being held in ICE custody with their under-5 children detained in a separate facility. Judge Sabraw rejected many of the government’s arguments — especially the claim that the reunification order excludes deported parents — and did not issue the deadline extension the Trump administration requested. 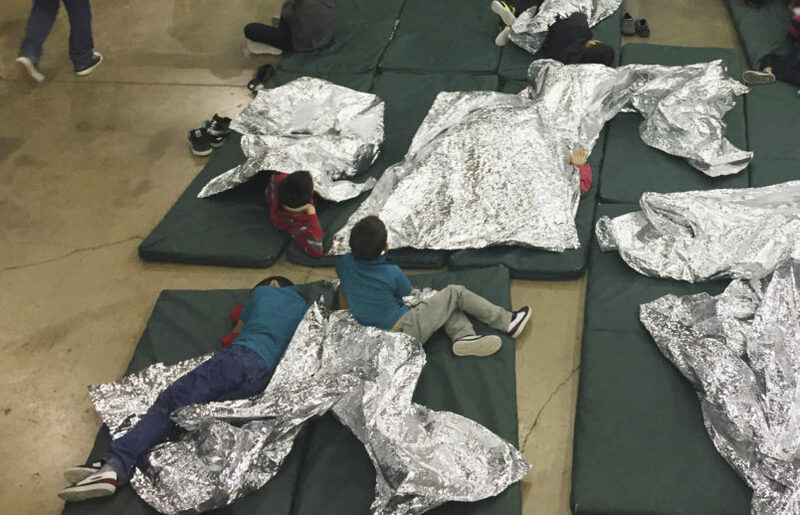 Instead, he told the government to work with the ACLU over the weekend to create a list of all the children under five still in custody and the reasons why they will or will not be returned to their parents in time — and promised to issue a ruling on Monday. In Friday’s status hearing, which reporters could hear live via teleconference, Justice Department lawyer Sarah Fabian argued that the government can’t meet the timeline imposed by the court due to the stringent vetting process the Office of Refugee Resettlement (ORR) is conducting to determine whether adults are indeed the biological parents of their children and whether they are fit to be reunited. “There is always going to be a tension between a fast release and a safe release,” she said, claiming the Trafficking Victims Protection Act (TVPRA) forces HHS to go through the burdensome and slow process. But Judge Sabraw appeared to reject this line of argument as well, countering that the TVPRA was intended for children who came to the U.S. unaccompanied and who need to be released to a family member or other sponsor — not a child taken from their parent by the U.S. government. Attorney Lee Gelernt with the ACLU agreed, saying that “so much of what ORR is doing was added as a policy matter” and is not required by law. Gelernt added that he and other attorneys are extremely uncomfortable with the Trump administration conducting DNA testing on all separated families. The Trump administration conceded that if the court were to issue an order saying they did not have to go through all its vetting steps, they would not contest it. But Judge Sabraw held off for now on such a ruling, and similarly did not issue any decisions regarding the DNA tests. During Friday’s hearing, Fabian provided some of the hard numbers advocates and the press have long sought on the so-called “tender age” children taken from their parents and held in HHS custody. She confirmed that, so far, 86 parents have been matched with 83 the children under 5 held by the government, while they have failed to identify the parents of 16 of those children. Forty-six of the parents remain in ICE custody, while 19 have been deported without their child, two have what they called a “criminal history that would make them unfit or a danger to the child,” and 19 have been released pending their immigration or asylum hearings. Both Judge Sabraw and ACLU reacted strongly to this assertion, questioning how the government could release parents pending their court hearings and completely lose touch with them. He added that if given the list of “missing” parents, he is confident the ACLU and other advocacy and legal groups could mobilize to find them and put them in touch with the government in order to get their children back. Gelernt also thanked Judge Sabraw for confirming that parents already deported by the Trump administration must be covered by the reunification ruling, and similarly offered to mobilize private attorneys to help find and contact those parents in Central America. On Friday, the Trump administration did not reveal whether or not it will appeal Judge Sabraw’s original ruling to reunite the immigrant families, though Fabian did note that they have not yet requested a stay of the ruling. The two sides will face off again on Monday morning in the federal courtroom in San Diego to determine if the national injunction will be modified.